The decline in the energy output of the sun is extremely rapid at this point offering us earthlings a grand solar minimum that will increase a lot more than cases of frostbite. Donald Trump is set to drop climate change as a national security threat, as part of a new National Security Strategy. He is not really thinking straight because global cooling is more dangerous than warming. We are in for global cooling, not warming, and this is really bad news for cold weather is 20 times as deadly as hot weather. Already the CDC concedes that more people are dying from hypothermia in the United States. The danger from the Global Warming crowd is that they are misleading the entire world and preventing us from what is dangerously unfolding that sparks the rapid decline in civilization – GLOBAL COOLING. I previously warned that this is not my opinion, but simply our computer. If we were really conscious we would be running to store to buy heating pads. This year will be much colder for Europe than the last three. It will also be cold in the USA. We are in a global cooling period and all the data we have in our computer system warns that the earth is turning cold not warm. This cooling is very serious. This decline in the energy output of the sun will manifest in a commodity boom in agriculture as shortages send food prices higher. We will see famine begin to rise as crops fail and that will inspire disease and plagues. We would normally think that global warming means it should be getting warmer, feels warmer, with the weather men reporting its warmer. Warmer seasons lasting longer, snow coming later and ending sooner. None of that is happening. It is snowing earlier and snowing later into spring and even summer, weathermen are reporting record smashing cold, incredible amounts of snow, fewer sun spots and polar ice building in the south and holding reasonably steady in the north. David Dilley, CEO of Global Weather Oscillations, believes winters will only become “more intense” in the UK due to a combination of “dangerous” climate factors. His research shows that by 2019, Earth will enter a natural 120-year cooling cycle that happens roughly every 230 years, bucking the warming trend. Predictions of low solar activity for 33 years between 2020 and 2053 are also predicted to send thermometers plummeting, according to his research. The effects of cold weather during winters could have devastating consequences for the global economy, human life and society as we know it. Dilley has warned that “worldwide crop failures, famine and disease” could strike “during early stages of each global cooling cycle”. It is getting cooler and real scientists are paying attention to astrophysicists, who are telling us that solar activity is diminishing (low sun spot count), gamma ray penetration is increasing because of the lowered solar wind, which increases cloud formation, more increased cooling, more volcanic activity yielding even more cooling, increased air traffic that increased cooling. We even have geoengineering that is manmade cooling with the excuse of warding off the warming that is not happening. Our sun’s activity is projected to fall 60 percent in the 2030s. 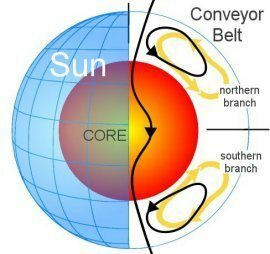 A study led by Zharkova demonstrated that the variations in the Sun’s activity are caused by two dynamo processes – one deep in the convection zone of the sun and one near its surface. Starting in early November we had record cold Veterans Day in New York City. In early December Alaska reported one of the most extreme snowfall rates on record: 10 inches (25 cm) per hour. Almost 7 feet of snow already and it was not even winter in upstate New York. According to the National Weather Service, the town of Redfield is snowiest in the state with 82.6 inches (209 cm) of snow as of last Friday. Up to 4 feet of snow in Rockies. Swiss ski area reports almost 12 feet in 7 days. 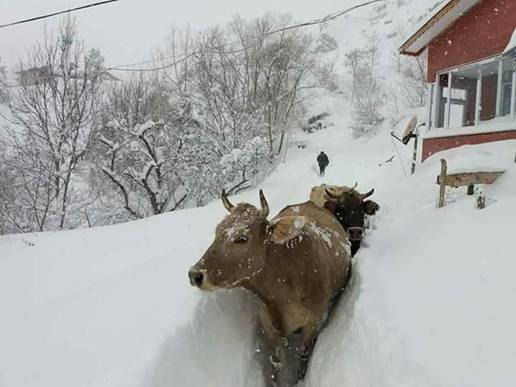 Turkey – More than 3 feet of snow in 12 hours. Record cold summer in Denmark. Not just the day, not just the month, the entire summer. And records go back to 1874. Record cold in Brazil. Record cold in Australia breaking records set more than 100 years ago. Earliest ice formation on Korean river in 71 years. On December 16th a five-day cold spell has led to ice formation on the Han River one month earlier than expected. 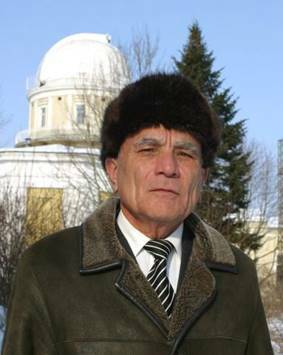 The head of the Space Research section of the Russian Academy of Science, Professor Khabibullo Abdussamatov, in 2006 issued a press release, warning that the world should prepare for imminent global cooling. 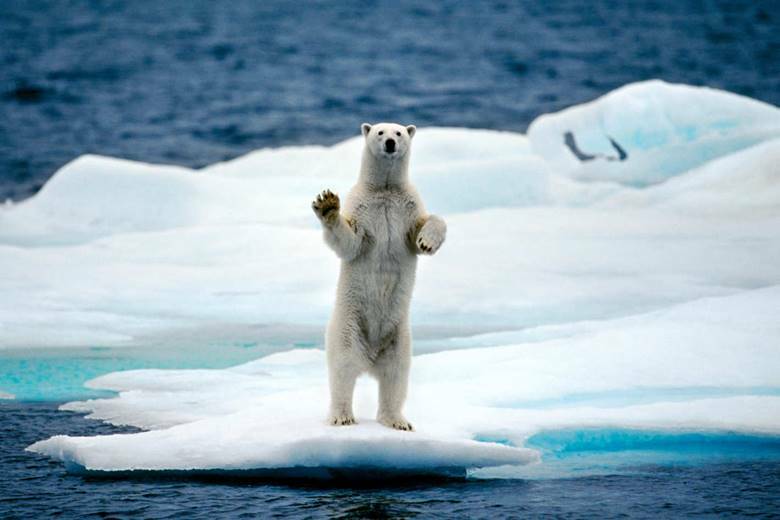 He predicted that the next ice age would start in 2012 – 2015, and would likely peak around 2055. He was looking to the most obvious reason global cooling is happening—the sun. Solar cycle 24 continues to rank among the weakest on record, which continues the recent trend for increasingly weaker cycles. The current predicted and observed size makes this the smallest sunspot cycle since Cycle 14, which had a maximum of 64.2 in February of 1906. Going back to 1755, there have been only a few solar cycles in the previous 23 that have had a lower number of sunspots during its maximum phase. For this reason, many solar researchers are calling this current solar maximum a “mini-max”. Solar cycle 24 began after an unusually deep solar minimum that lasted from 2007 to 2009. In fact, in 2008 and 2009, there were almost no sunspots, a very unusual situation during a solar minimum phase that had not happened for almost a century. The Huffington Post says that we, “Might want to start stockpiling those down jackets.” That would be a good idea starting right now and so would be getting a Biomat if one does not already own one of these incredible infrared mattresses that not only heal and comfort us when we are in pain but keep us warm at night when the cold presses in. Keeping warm is important for our health and survival though doctors are not informed about the best ways to do this. Dr. Sircus, as much as always value your information I will talk about a misguided data: I live in Monterrey, Nuevo León,Mexico, (one of the mexican states that you mentioned in the article) just in the line of the Cancer Tropics and while it was correct that we day one day the the tempetarure at only 2 celsuis, the next day the temparature raised again to 11 celsius and the forward day to 23 celsius. On Christmas eve we had about 22 celsuis at night and the day before the maximum for the day were at about 30 celsius. Today is raining with a temp of 13 C. but it is expected to raise to 22 in the next 2 days. Actually that of Chihuahua was not a fair analogy since Chihuahua is much bigger and Cd. Juarez is on the north tip of the state, while Monterrey is in the middle of a smaller state and the differences between Monterrey and the rest of the state is at the most 7 degrees. The first 4 days of the year we had just above 0C with max of 3-4C, but since then just today, in plain winter we have a sunny 24 C, that was the same as yesterday and the forecast for this week is lowest of 4-7 C in the mornings and max of 18-26 C in the afternoon. So at least the people here would ask: What freezing climate?